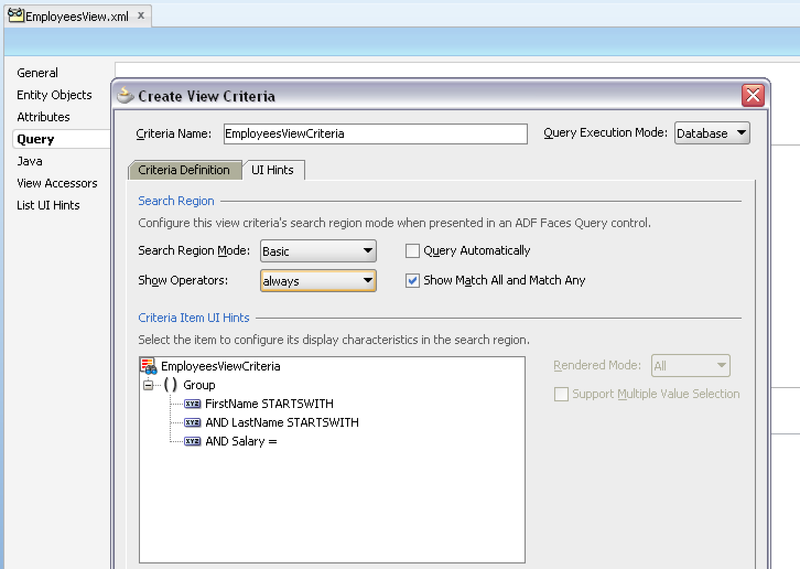 During this week work, I received interesting question from ADF developer - how to hide all operators for specific ADF View Criteria item. 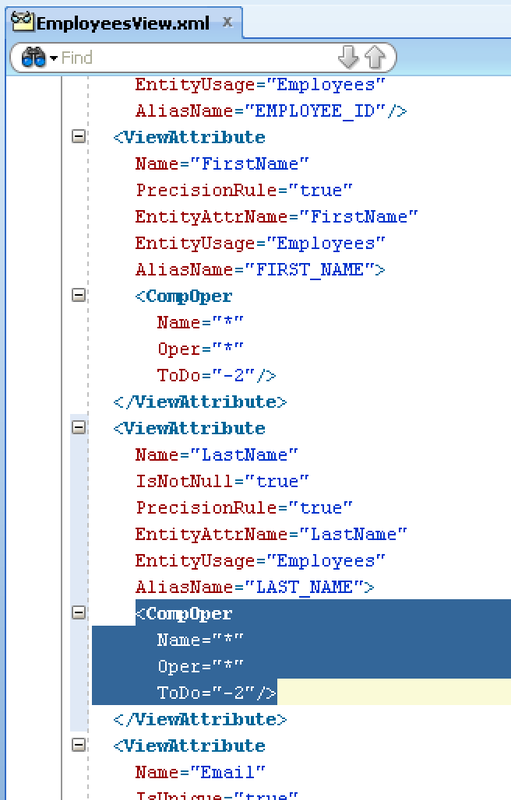 There is an option to go and hide different operators one by one, following API guide for JboCompOper. You could follow this approach, but there is one smarter way - to hide all operators at once. See below - how. Sounds pretty easy, isn't it? You should remember a trick with "*" symbol. 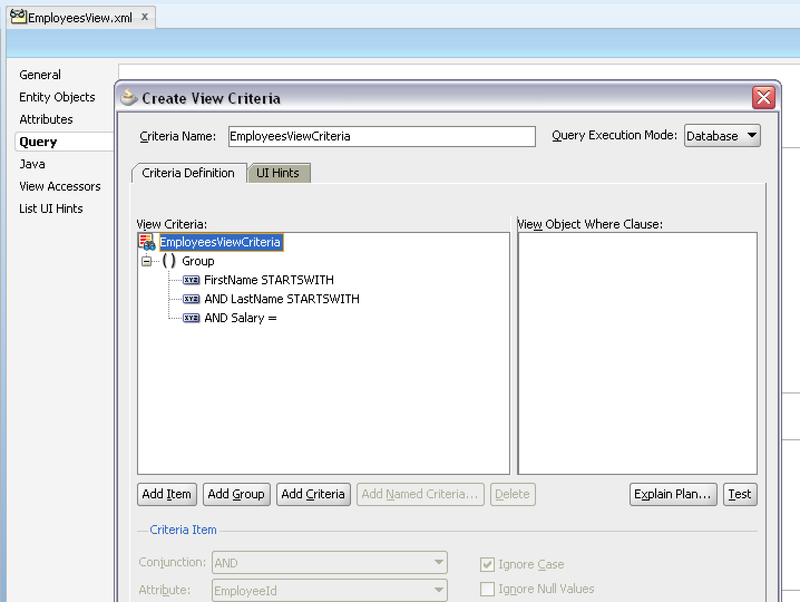 I have a use case where when I add an attribute from 'add fields' in the advance mode, the operator for the newly added attribute should be defaulted to 'Contains'. How can I do that? Hi Andrejus Baranovskis ,I have been watching your posts since 2 years are amazing !! could you please let me know if there is any way to disable that ADVANCED mode in that searchandselect dailog.